BoE governor Mark Carney announced an interest rate cut to 0.25%. Carney also announced a massive plan to buy government and corporate bonds. Markets often rise higher than you think is possible and fall lower than you can possibly imagine. The FTSE goes higher after the enormous negativity and uncertainty following Brexit? Impossible! Market “experts” have been predicting a big FTSE decline ever since the June Brexit vote. Consumer and business confidence showed big declines recently. And the FTSE has been dropping. But all it took was BoE hocus pocus to flip the script. Just like that, the FTSE closed up 1.56% yesterday. To Jim’s point, markets like the FTSE can clearly rise higher than you’d ever think possible. Central bank desperation is always good for short-term fun and games. And conventional wisdom and trading strategy simply don’t account for these outliers. The flip side is that markets can also sink far lower than ever expected when shortsighted interventions flatline. Think you can time when to get in and out by trying to predict insanity? Good luck. You can’t. The most effective way to profit from chaos is a trend following approach riding price trends both higher and lower… blissfully ignorant of exact outlier timing. Look, we can’t predict or control the future. But as the future takes shape, we can identify trends forming and ride them for the chance at huge profits. And that’s just what trend following aims to achieve. To hear more of Jim’s investment wisdom, be sure to click on the screenshot below to view the final installment of my exclusive interview. Please send me your comments to coveluncensored@agorafinancial.com. 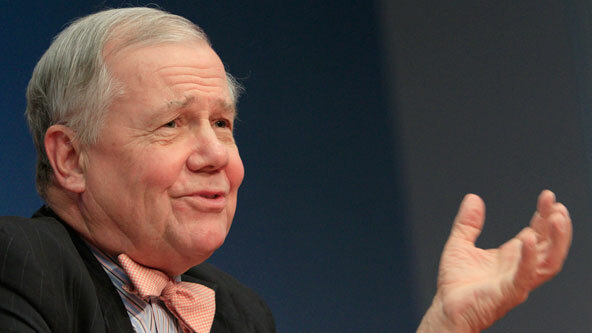 Let me know what you think of this week’s conversation with Jim Rogers. P.S. If you missed the previous installments of my interview with Jim, you can watch Part I here and Part II here.